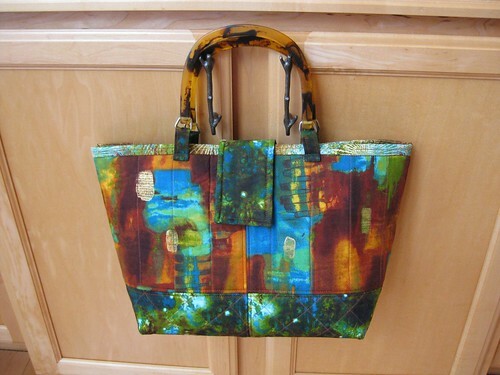 I completed another Miranda Day Bag by Lazy Girl Designs using “Chasing the Rainbow” fabrics from Robert Kaufman. That fabric worked up even better than I imagined ! ! !